This year life outside the blog world is pretty fast paced and is keeping me on my toes. Hence fewer blog updates. I know a number of you dear readers are hoping for more frequent blog posts. I do not like to be away from my blog and its readers. Believe me. I am trying to balance my offline and online activities without neglecting either of them. I really wish there were more than 24 hours in a day. 🙂 I hope to share more recipes in the coming months. 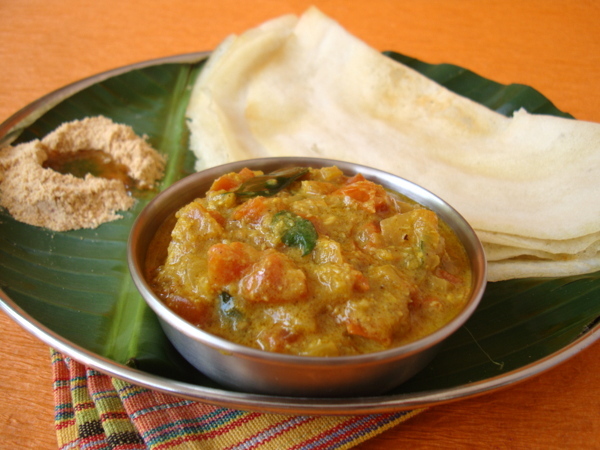 For today, I have for you a South Indian classic breakfast side dish, Tomato Kurma. Simply delectable with dosa. Judging by the ingredients, you would tell that the dish is going to be tasty but the preparation work would be a little daunting. But totally worth the effort for a weekend brunch or breakfast. Heat oil in a heavy bottomed cooking vessel. Add cloves, cinnamon stick, bay leaf and curry leaves and allow to sizzle for a few seconds. Add the chopped onions and saute for 4 mts. Add the ginger garlic paste and saute for 4 mts. Add turmeric powder, red chili powder and salt. Mix well. Add chopped tomatoes and saute for 9-10 mts on low to medium flame with lid. Add the ground paste along with a cup of water and bring to a boil. Reduce flame and simmer till the gravy thickens. Turn off heat and serve warm with dosa. You can add a few cashew nuts while grinding the coconut base for a richer flavor. By Sailu Published: July 10, 2012 A classic South Indian breakfast side dish, Tomato Kurma, makes for a delectable combination with dosa and chapati/parotta. Oh, looks so delicious! I’ll make sure I get some good heirloom tomatoes and try this! Hi…nice recipe..can you tell me wat all ingredients should be grinded? Nice recipe :)…..i’ll definitely have a try. is it dry coconut or raw coconut to be added? Which ingredients needs to be grinded? The recipe doesn’t say it. Thank you! You know Sailu, I made the same curry day before yesterday. It really comes out so good. Only variation I made was used raw green tomatoes. And the ground masala same khus- khus, dry coconut or coconut, cashews or can also add almonds for rich flavor. I learned this dish from my Mom, felt happy to see the post on your blog. 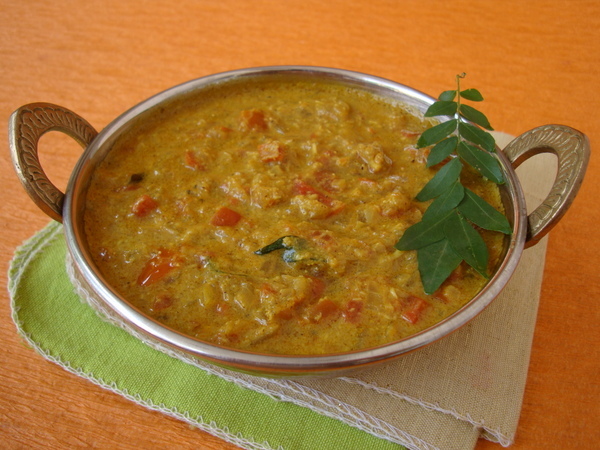 Thank you for sharing the Tomato Kurma recipe with us. 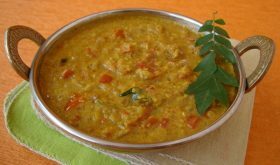 We are catering for countless South Indian recipes weddings & we look forward to offering the Tomato kurma as a catering option to our brides and grooms.